^ Stutz, Howard. Caesars Palace not worried about adding more rooms. Casino City Times. 2011-12-15 [2012-01-09]. ^ Meeting Facilities. 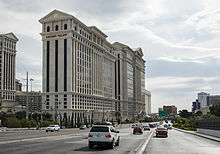 Caesars Entertainment. [2011-12-03]. ^ Karasik, Ellen. Getting a N.J. gambling license is not easy. Montreal Gazette. Philadelphia Inquirer. 1979-04-28 [2012-04-21]. ^ Jones, Chris. Caesars Earns Niche in Gaming Pantheon. Casino City Times. Gaming Wire. 2004-07-21 [2012-04-21]. 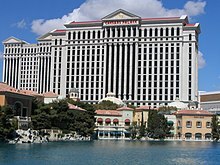 ^ Las Vegas Hotels / Casinos: By Name. University of Nevada, Las Vegas Libraries. August 23, 2012 [2012-10-20]. （原始内容存档于2012年10月14日）. ^ Lyall, Sarah. Stuart Perlman, 60, Co-Founder Of Caesars World With Brother. New York Times. 1988-01-06 [2011-09-09]. ^ Benston, Liz. Caesars Palace delays opening of tower. Las Vegas Sun. January 12, 2009 [January 13, 2009]. ^ Stutz, Howard. 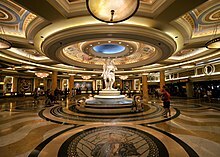 Caesars' Octavius Tower to open Jan. 2. Las Vegas Review Journal. September 14, 2011 [September 25, 2011].